Hunt, H.E.M. and Hussein, M.F.M., 2007. Ground-borne vibration transmission from road and rail systems – Prediction and control. Chapter 123 in: Malcolm J. Crocker, ed. Handbook of Noise and Vibration Control. John Wiley and Sons, New York, 1458-1469. Muhammad, Z., Reynolds, P., Avci, O., Hussein, M.F.M., 2019, Review of Pedestrian Load Models for Vibration Serviceability Assessment of Floor Structures, Vibration, 2, 1, 1-24. Brookes, D., Hamad, W.I., Talbot, J.P., Hunt, H.E.M., Hussein, M.F.M., 2018, On the dynamic interaction effects of railway tunnels: Crossrail and the Grand Central Recording Studios, Journal of Rail and Rapid Transit, 1-18. Avci, O., Abdeljaber, O., Kiranyaz, S., Hussein, M.F.M., Inman, D.J., 2018, Wireless and real-time structural damage detection: A novel decentralized method for wireless sensor networks, Journal of Sound and Vibration 424, 158-172. Ntotsios, E., Thompson, D.J., Hussein, M.F.M., 2017, The effect of track load correlation on ground-borne vibration from railways, Journal of Sound and Vibration, 402, 142-163. Verachtert, R., Hunt, H.E.M., Hussein, M.F.M., Degrande, G., 2017, Changes of perceived unevenness caused by in-track vibration countermeasures in slab track, European Journal of Mechanics – A/Solids, 65, 40-58. Younis, A., Avci, O., Hussein, M.F.M., Davis, B., Reynolds, P., 2017, Dynamic Forces Induced on Building Floors by a Single Pedestrian: A Literature Review, the Applied Mechanics Reviews, 69, 020802, 17 pages. Abdelatif, A.O, Owen, J.S., and Hussein, M.F.M., 2017, Modelling and parametric study of the re-anchorage of ruptured tendons in bonded post-tensioned concrete, Journal of Structural Engineering, 143 (12), art. no. 04017162. Kostovasilis, D., Thompson, D.J., Hussein, M.F.M., 2017, A semi-analytical beam model for the vibration of railway tracks, Journal of Sound and Vibration, 393, 321-337. Thompson, D., Jiang, J., Toward, M.G.R, Hussein, M.F.M., Ntotsios, E., Dickmans, A., Coulier, P., Lombaert, G. and Degrande, G. 2016, Reducing railway-induced ground-borne vibration by using open trenches and soft-filled barriers, Soil Dynamics and Earthquake Engineering, 88, 45-59. Abdelatif, A.O, Owen, J.S., and Hussein, M.F.M., 2016, Rapid assessment of bonded post-tensioned concrete beams with ruptured tendons, Sudan Engineering Society Journal, 62 (2), 14-17. Thompson, D.J., Jiang, J., Toward, M.G.R., Hussein, M.F.M., Dijckmans, A., Coulier, P., Degrande, G., Lombaert, G., 2015, Mitigation of railway-induced vibrations by using subgrade stiffening. Soil Dynamics and Earthquake Engineering, 79(part A), 89-103. Koroma, S.G., Hussein, M.F.M., Owen, J.S., 2015, The effects of preload and nonlinearity on the vibration of railway tracks under a harmonic load, Journal of Low Frequency Noise, Vibration and Active Control, 34, 3, 289–306. Hamad, W.I., Owen, J.S., Hussein, M.F.M., 2015, Modelling the degradation of vibration characteristics of reinforced concrete beams due to flexural damage, Structural Control and Health Monitoring, 22, 6, 939–967. Abdelatif, A.O, Owen, J.S., and Hussein, M.F.M., 2015, Modelling the prestress transfer in pre-tensioned concrete elements, Finite Elements in Analysis and Design, 94, 47–63. Kuo, K.A., Jones, S. W. Jones, Hussein, M.F.M., Hunt, H.E.M., 2015, Recent developments in the Pipe-in-Pipe model for underground-railway vibration predictions, Notes on Numerical Fluid Mechanics and Multidisciplinary Design, 126, 2015, 321-328. Hussein, M.F.M., Hunt, H.E.M., Kuo, K.A., Costa, P.A., and Barbosa, J., 2015, The use of sub-modelling technique to calculate vibration in buildings from underground railways, Journal of Rail and Rapid Transit, 229,3, 303-314. Hussein, M.F.M., Francois, S. , Schevenels, M., Hunt, H.E.M., Talbot, J.P., Degrande, G., 2014, The fictitious force method for efficient calculation of vibration from a tunnel embedded in a multi-layered half-space, Journal of Sound and Vibration, 333, 25, 6996–7018. Carroll, S.P., Owen, J.S. and Hussein, M.F.M., 2014, Experimental identification of the lateral human-structure interaction mechanism and assessment of the inverted-pendulum biomechanical model, Journal of Sound and Vibration, 333, 22, 5865–5884. Koroma, S.G., Hussein, M.F.M., Owen, J.S., 2014, Vibration of a beam on continuous elastic foundation with nonhomogeneous stiffness and damping under a harmonically excited mass, Journal of Sound and Vibration, 333,9, 2571–2587. Yang, W., Hussein, M.F.M., and Marshall A., 2013. Centrifuge and numerical modelling of ground-borne vibration from an underground tunnel, Soil Dynamics and Earthquake Engineering, 51, 23-34. Hamad, W.I., Owen, J.S., Hussein, M.F.M., 2013, The sensitivity of vibration characteristics of reinforced concrete beams under incremental static and cyclic loading, Key Engineering Materials, 569-570, 327-334..
Abdelatif, A.O, Owen, J.S., and Hussein, M.F.M., 2013, Re-anchorage of a Ruptured Tendon in Bonded Post-Tensioned Concrete Beams: Model validation, Key Engineering Materials, 569-570, 302-309. Hamad, W.I., Owen, J.S., Hussein, M.F.M., 2013, An efficient approach of modelling the flexural cracking behaviour of un-notched plain concrete prisms subject to monotonic and cyclic loading, Engineering Structures, 51, 36-50. Carroll, S.P., Owen, J.S., and Hussein, M.F.M., 2013. Reproduction of lateral ground reaction forces from visual marker data and analysis of balance response while walking on a laterally oscillating deck, Engineering Structures, Engineering Structures, 49, 1034-1047. Carroll, S.P., Owen, J.S., and Hussein, M.F.M., 2013. A coupled biomechanical/discrete element crowd model of crowd-bridge dynamic interaction & application to the Clifton Suspension Bridge, Engineering Structures, 49, 58–75. Yang, W., Hussein, M.F.M., Marshall, A., and Cox, C., 2013. Centrifuge and numerical modelling of ground-borne vibration from surface sources, Soil Dynamics and Earthquake Engineering, 44, 78–89. Jones, S., Kuo, K.A., Hussein, M.F.M., and Hunt, H.E.M., 2012. Prediction uncertainties and inaccuracies resulting from common assumptions in modelling vibration from underground railways, Journal of Rail and Rapid Transport, 226(5), 501-512. Kuo, K.A., Hussein, M.F.M. and Hunt, H.E.M., 2012. The effects of a second tunnel on the propagation of ground-borne vibration from an underground railway, Notes on Numerical Fluid Mechanics and Multidisciplinary Design, 118:307-314. Carroll, S.P., Owen, J.S., and Hussein, M.F.M., 2012. Modelling crowd-bridge dynamic interaction with a discretely defined crowd, Journal of Sound and Vibration, 331(11), 2685-2709. Hamad, W.I., Owen, J.S., and Hussein, M.F.M., 2011. A flexural crack model for damage detection in reinforced concrete structures, Journal of Physics, Conference Series, 305(1), 012037. Kuo, K.A., Hunt, H.E.M. and Hussein, M.F.M., 2011. The effect of a twin tunnel on the propagation of ground-borne vibration from an underground railway, Journal of Sound and Vibration, 330(25), 6203-6222. Jones, S., Hussein, M.F.M., and Hunt, H.E.M., 2010. Use of PiP to investigate the effect of a free surface on ground vibration due to underground railways, Acoustics Australia, 38(1), 20-24. Hussein, M.F.M., and Hunt, H.E.M., 2009. A computationally efficient software application for calculating vibration from underground railways, Journal of Physics, Conference Series, 181(1), 012057. Hussein, M.F.M. and Hunt, H.E.M., 2009. A numerical model for calculating vibration due to a harmonic moving load on a floating-slab track with discontinuous slabs in an underground railway tunnel, Journal of Sound and Vibration, 321(1-2), 363-374. Hussein, M.F.M., Hunt, H.E.M., Rikse, L., Gupta, S., Degrande, G., Talbot, J.P., Francois, S. and Schevenels, M., 2008. Using the PiP model for fast calculation of vibration from a railway tunnel in a multi-layered half-space, Notes on Numerical Fluid Mechanics and Multidisciplinary Design, 99/2008, 136-142. Hussein, M.F.M. and Hunt, H.E.M., 2007. A numerical model for calculating vibration from a railway tunnel embedded in a full-space. Journal of Sound and Vibration, 305(3), 401-431. Gupta, S., Hussein, M.F.M., Degrande, G., Hunt, H.E.M. and Clouteau, D., 2007. A comparison of two numerical models for the prediction of vibrations from underground railway traffic. Soil Dynamics and Earthquake Engineering, 27(7), 608-624. Hussein, M.F.M. and Hunt, H.E.M., 2006. Modelling of Floating-Slab track with Discontinuous Slab Part I: Response to Oscillating Moving Loads. Journal of Low Frequency Noise, Vibration and Active Control, 25(1), 23-40. Hussein, M.F.M. and Hunt, H.E.M., 2006. Modelling of floating-slab track with discontinuous slab Part 2: response to moving trains. Journal of Low Frequency Noise, Vibration and Active Control, 25(2), 111-118. Hussein, M.F.M. and Hunt, H.E.M., 2006. Modelling of floating-slab tracks with continuous slabs under oscillating moving loads. Journal of Sound and Vibration, 297(1-2), 37-54. Hussein, M.F.M. and Hunt, H.E.M., 2006. A power flow method for evaluating vibration from underground railways. Journal of Sound and Vibration, 293(3-5), 667-679. Abdeljaber, O., Hussein, M.F.M., Avci, O., 2018, In-service video-vibration monitoring for identification of walking patterns in an office floor, the 25th International Congress on Sound and Vibration (ICSV25), Hiroshima, Japan, 8-12 July. Aldous, K., Hussein, M.F.M., Abdeljaber, O., 2018, Ground-borne vibration investigation by modelling the tunnel-soil interaction using a Finite Element Package, the 25th International Congress on Sound and Vibration (ICSV25), Hiroshima, Japan, 8-12 July. Pinto, A., Costa, P.A., Colaco, A., Hussein, M.F.M., 2017, Ground-borne vibrations due to railway traffic in urbanized areas: a numerical study about traffic in trench cross-sections, In: the 6th ECCOMAS Thematic Conference on Computational Methods in Structural Dynamics and Earthquake Engineering (Compdyn), Rhodes Island, Greece, 15–17 June. Hunt, H.E.M., Hussein, M.F.M., Hamad, W.I., 2017, the PiP model and progress in ground vibration from railways, Acoustics 2017, Perth, Australia, 19-22 November. Hussein, M.F.M. and Costa. P.A., 2016, The effect of end bearings on the dynamic behavior of floating-slab tracks with discrete slab units, In ICSV23: 23rd International Congress on Sound and Vibration, Athens, Greece, 10 – 14 July. Abdelatif, A.O, Owen, J.S., and Hussein, M.F.M., 2016, Rapid assessment of bonded post-tensioned concrete beams, the 1st conference on civil engineering, Merowe, Sudan, 13th-15th Dec.
Tehrani, M.G., Hussein, M.F.M., 2015, Energy harvesting from moving loads on a beam with elastic foundation, In: International Conference on Engineering Vibration (ICoEV2015), Ljubljana, Slovenia, 7-10 September. Kostovasilis, D., Thompson, D.J., Hussein, M.F.M., 2015, The effect of vertical-lateral coupling of rails including initial curvature, In: the 22nd International Congress on Sound and Vibration (ICSV22), Florence, Italy, 12 to 16 July. Jin, Q., Thompson, D.J., Lurcock, D., Toward, M., Ntotsios, E., Koroma, S., Hussein, M.F.M., 2015, Experimental validation of a numerical model for the ground vibration from trains in tunnels, In: the 10th European Congress and Exposition on Noise Control Engineering (EuroNoise), Maastricht, The Netherlands, May 31st to June 3rd. Hamad, W.I., Ntotsios, E., Hunt, H.E.M. Hussein, M.F.M., Thompson, D.J., and Talbot, J.P., 2015, Modelling the dynamic pile-soil-pile interaction in a multi-layered half-space, In: the 10th European Congress and Exposition on Noise Control Engineering (EuroNoise), Maastricht, The Netherlands, May 31st to June 3rd. Ntotsios, E., Thompson, D.J., and Hussein, M.F.M., 2015, Effect of rail unevenness correlation on the prediction of ground-borne vibration from railways, In: the 10th European Congress and Exposition on Noise Control Engineering (EuroNoise), Maastricht, The Netherlands, May 31st to June 3rd. Koroma, S.G., Thompson, D.J., Hussein, M.F.M., and Evangelos, N., 2015, A mixed space-time and wavenumber domain model for predicting vibration from railway tracks, In: the 5th ECCOMAS Thematic Conference on Computational Methods in Structural Dynamics and Earthquake Engineering (Compdyn), Crete Island, Greece, 25–27 May. Ntotsios, E., Hamad, W.I., Thompson, D.J., Hussein, M.F.M., Hunt, H.E.M., Talbot, J.P., 2015, Predictions of the dynamic response of piled foundations in a multi-layered halfspace due to inertial and railway induced loadings, In: the 5th ECCOMAS Thematic Conference on Computational Methods in Structural Dynamics and Earthquake Engineering (Compdyn), Crete Island, Greece, 25–27 May. Hamad, W.I., Hunt, H.E.M., Talbot, J.P., Hussein, M.F.M., Thompson, D.J., 2015, The dynamic interaction of twin tunnels embedded in a homogeneous half-space, In: the 5th ECCOMAS Thematic Conference on Computational Methods in Structural Dynamics and Earthquake Engineering (Compdyn), Crete Island, Greece, 25–27 May. Ntotsios, E., Koroma, S.G., Hamad, W.I., Thompson, D.J., Hunt, H. E.M., Talbot, J.P., Hussein, M.F.M., 2015, Modelling train induced vibration, In: IMechE Stephenson conference, London UK, 21-23 April. Koroma, S.G., Hussein, M.F.M., Thompson, D.J., and Evangelos, N., 2014, The effect of non-linearity of railway tracks on ground-borne vibration. In ICSV21: 21st International Congress on Sound and Vibration, Beijing China, 13 – 17 July. Jiang, J. Toward, M., Dijckmans, A., Thompson, D.J., Degrande, G., Lombaert, G., Hussein, M.F.M., 2014, The influence of soil conditions on railway induced ground-borne vibration and relevant mitigation measures, In ICSV21: 21st International Congress on Sound and Vibration, Beijing Shi, 13 – 17 July. Verachtert R., Hunt, H.E.M., Hussein, M.F.M., Degrande, G., 2014, Changes in railway unevenness after the installation of in-track vibration countermeasures, In: the 9th International Conference on Structural Dynamics (EURODYN), Porto, Portugal, 30th June-2nd July. Hamad, W.I., Hunt, H.E.M., Hussein, M.F.M., and Talbot, J.P., 2014, Tunnel-soil-pile interaction in the prediction of vibration from underground, In: the 9th International Conference on Structural Dynamics (EURODYN), Porto, Portugal, 30th June-2nd July. Kostovasilis, D., Hussein, M.F.M., , Thompson, D.J., 2014, A holistic approach for the design and assessment of railway tracks, In: the 9th International Conference on Structural Dynamics (EURODYN), Porto, Portugal, 30th June-2nd July. Ntotsios, E., Hussein, M.F.M., Thompson, D.J., 2014, A comparison between different approaches for calculating Power Spectral Densities of ground-borne vibration from railway trains, In: the 9th International Conference on Structural Dynamics (EURODYN), Porto, Portugal, 30th June-2nd July. Toward, M.G.R., Jiang, J., Dijckmans, A., Coulier, P., Thompson, D.J., Degrande, G., Lombaert, G. and Hussein, M.F.M., 2014, Mitigation of railway induced vibrations by using subgrade stiffening and wave impeding blocks. In: the 9th International Conference on Structural Dynamics (EURODYN), Porto, Portugal, 30th June-2nd July. Kuo, K.A., Hunt, H.E.M., Jones, S., Hussein, M.F.M., 2013. Recent developments in the Pipe-in-Pipe model for underground-railway vibration predictions. In: the 11th International Workshop on Railway Noise (IWRN), Uddevalla, Sweden, 9th-13th of September. Hussein, M.F.M., Hunt, H.E.M., Kuo, K.A., Costa, P.A., Barbosa, J., 2013, A numerical model for calculating vibration in a building with pile foundation from underground railway trains, In: the 11th Biennial International Conference on Vibration Problems, Lisbon, Portugal, 9th-12th of September. Kostovasilis, D., Koroma, S.G., Hussein, M.F.M., Owen, J.S., 2013, The effect of preload and nonlinearity on the vibration of railway tracks under harmonic load, In: the 11th Biennial International Conference on Vibration Problems, Lisbon, Portugal, 9th-12th of September. Koroma, S.G., Hussein, M.F.M., Owen, J.S., the effects of railpad nonlinearity on the vibration of railway tracks under harmonic load, 2013, In: the 11th Biennial International Conference on Vibration Problems, Lisbon, Portugal, 9th-12th of September. Koroma, S.G., Hussein, M.F.M., Owen, J.S., 2013, The effects of railpad nonlinearity on the dynamic behaviour of railway track. In the Institute of Acoustics conference, Nottingham, UK, 13th May. Kostovasilis, D., Koroma, S.G., Hussein, M.F.M. and Owen, J.S., 2013, The effect of curvature on the dynamic behaviour of a railway track. In the Institute of Acoustics conference, Nottingham, UK, 13th May. Hussein, M.F.M., Hunt, H.E.M., Kuo, K.A., Costa, P.A., Barbosa, J., 2013, the dynamic effect of a piled-foundation building on an incident vibration field from underground railway tunnel, In: the 20th International Congress on Sound and Vibration, Bangkok, Thailand, 7th-11th of July. 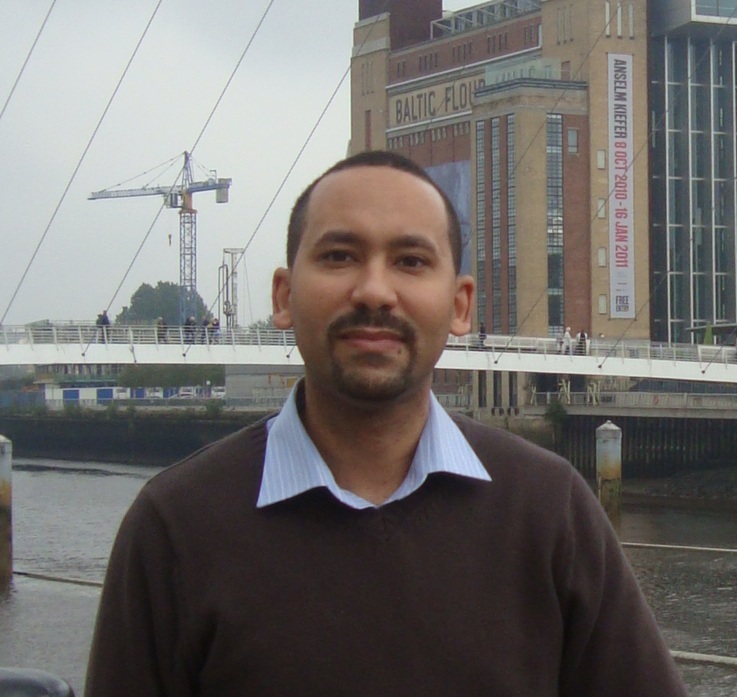 Abdelatif, A.O, Owen, J.S., and Hussein, M.F.M., 2013, Re-anchorage of a Ruptured Tendon in Bonded Post-Tensioned Concrete Beams: Model validation, the 10th International Conference on Damage Assessment of Structures (DAMAS), Dublin, Ireland, 8th-10th July. Hamad, W.I., Owen, J.S., Hussein, M.F.M., 2013, The sensitivity of vibration characteristics of reinforced concrete beams under incremental static and cyclic loading, the 10th International Conference on Damage Assessment of Structures (DAMAS), Dublin, Ireland, 8th-10th July. Carroll, S.P., Owen, J.S., and Hussein, M.F.M., 2013, An Optically Based Assessment of Pedestrian Frontal-Plane Balance Behaviour While Walking on a Laterally Oscillating Treadmill, the 4th International Conference on Computational Methods on Structural Dynamics and Earthquake Engineering (CompDyn 2013) Kos Island, Greece, 12th-14th June. Abdelatif, A.O., Owen, J.S., and Hussein, M.F.M., 2012, Modeling the Re-anchoring of a Ruptured Tendon in Bonded Post-tensioned Concrete, In: BIC 2012 conference, Brescia, Italy, 17th-20th of June. Hamad, W.I., Owen, J.S., Hussein, M.F.M., 2011, A flexural crack model for damage detection in reinforced concrete structures, In: the 9th International Conference on Damage Assessment of Structures (DAMAS), Oxford, UK, 11th-13th of July. Yang, Yenbo., Hussein, M.F.M., Cox C., and Marshall A., 2011. Physical and numerical modelling of ground-borne vibration from a surface source. In: the 8th International Conference on Structural Dynamics (EURODYN), Leuven, Belgium, 4th-6th of July. Carroll, S.P., Owen, J.S., and Hussein, M.F.M., 2011. Crowd-bridge interaction by combining biomechanical and discrete element models. In: the 8th International Conference on Structural Dynamics (EURODYN), Leuven, Belgium, 4th-6th of July. Hamad, W.I., Owen, J.S., Hussein, M.F.M., 2011, The use of fictitious crack model in modelling the vibration behaviour of cracked reinforced concrete beams, In: the 8th International Conference on Structural Dynamics (EURODYN), Leuven, Belgium, 4th-6th of July. Jones, S., Kuo, K.A., Hussein, M.F.M., Hunt, H.E.M., 2011. Prediction inaccuracies and uncertainties associated with common assumptions in modelling vibration from underground railways. In: the 8th International Conference on Structural Dynamics (EURODYN), Leuven, Belgium, 4th-6th of July. Kuo, K.A., Hussein, M.F.M., and Hunt, H.E.M., 2010. The effects of a second tunnel on the propagation of ground-borne vibration from an underground railway. In: The 10th International Workshop on Railway Noise and Vibration, Nagahama, Japan, 18th-22nd of October. Hussein, M.F.M., 2010. Modelling vibration from surface and underground railways as an evolutionary random process. In: the International Conference on computing in Civil and Building Engineering, Nottingham, 30th June-2nd July. Osman, A.S., Hussein, M.F.M., 2010. Dynamic response of a laterally-loaded infinite rigid cylinder embedded in a saturated poroelastic medium. In: the International Conference on computing in Civil and Building Engineering, Nottingham, 30th June-2nd July. Hamad, W.I., Owen, J.S., Hussein, M.F.M., 2010. Modelling the nonlinear behaviour of a cracked reinforced concrete beam. In: the International Conference on computing in Civil and Building Engineering, Nottingham, 30th June-2nd July. Carroll, S.P., Owen, J.S., and Hussein, M.F.M., 2010. Modelling crowd-bridge interaction with a discretely defined crowd. In: SECED Young Engineers Conference, London, UK, 4th of November. Coulier, P., Beckers, M., Kuo, K.A., Hussein, M.F.M., Hunt, H.E.M., Degrande, G. 2010. Vibrational discomfort in buildings. Transport Research Arena Conference. Brussels, Belgium, 7-11 June. Hunt, H.E.M., Hussein, M.F.M., Jones, S., Kuo, K.A., 2010. Ground-borne vibration from underground railways: some commonly-made modelling assumptions and their associated inaccuracies and uncertainties. In: Noise in the Built Environment, Ghent, 29th-30th April. Hussein, M.F.M., 2009. A comparison between the performance of floating-slab track with continuous and discontinuous slabs in reducing vibration from underground railway tunnels. In: the 16th International Congress on Sound and Vibration, Krakow, Poland, 5th-9th of July. Hussein, M.F.M., 2009. A numerical model of a moving wheel-set on a floating-slab track with discontinuous slab in an underground railway tunnel. In: NOVEM2009: Noise and Vibration: Emerging Methods, Oxford, UK, 5th-8th of April. Hussein, M.F.M. and Hunt, H.E.M., 2009. A software application for calculating vibration due to moving trains in underground railway tunnels. In: NOVEM2009: Noise and Vibration: Emerging Methods, Oxford, UK, 5th-8th of April. Kuo, K.A., Jones, S., Hunt, H.E.M. and Hussein, M.F.M., 2008. Applications of PiP: Vibration of embedded foundations near a railway tunnel. In: the 7th European Conference on Structural Dynamics (EURODYN), Southampton, UK, 7th-9th of July. Hussein, M.F.M., Hunt, H.E.M., Rikse, L., Gupta, S., Degrande, G., Talbot, J.P., Francois, S. and Schevenels, M., 2007. Using the PiP model for fast calculation of vibration from a railway tunnel in a multi-layered half-space. In: The 9th International Workshop on Railway Noise and Vibration, München, Germany, 4th-8th of September. Hunt, H.E.M. and Hussein, M.F.M., 2007. Accuracy, and the prediction of ground vibration from underground railways. In: the 5th Australasian Congress on Applied Mechanics, Brisbane, Australia, 10th-12th of December. Hunt, H.E.M. and Hussein, M.F.M., 2007. Vibration from railways: can we achieve better than +/-10dB prediction accuracy?. In: the 14th International Congress on Sound and Vibration, Cairns, Australia, 9th-12th of July. Hussein, M.F.M. and Hunt, H.E.M., 2007. Modelling of floating-slab tracks with discontinuous slabs in underground railway tunnels. In: the 14th International Congress on Sound and Vibration, Cairns, Australia, 9th-12th of July. Hussein, M.F.M. and Hunt, H.E.M., 2007. The PiP model, a software for calculating vibration from underground railways. In: the 14th International Congress on Sound and Vibration, Cairns, Australia, 9th-12th of July. Rikse, L., Hunt, H.E.M., Hussein, M.F.M., Degrande, G. and Gupta, S., 2007. A model for calculating vibration from a railway tunnel buried in a full-space including rigid bedrock. In: the 14th International Congress on Sound and Vibration, Cairns, Australia, 9th-12th of July. Gupta, S., Degrande, G., Chebli, H., Clouteau, D., Hussein, M.F.M. and Hunt, H.E.M., 2006. A numerical model for prediction of vibration from underground railways. In: the 7th World Congress on Computational Mechanics (WCCM), Los Angeles, USA, 16th-22nd of July. Gupta, S., Degrande, G., Othman, R., Clouteau, D., Hussein, M.F.M. and Hunt, H.E.M., 2006. A coupled periodic FE-BE model for ground-borne vibrations from underground railways. In: the 3rd European Conference on Computational Mechanics, Lisbon, Portugal, 5th-9th of June. Gupta, S., Degrande, G., Clouteau, D., Hussein, M.F.M. and Hunt, H.E.M., 2006. A numerical model for prediction of vibration from underground railways. In: Euromech Colloquium 484, Delft, the Netherlands, 19th-22nd of September. Gupta, S., Fiala, P., Hussein, M.F.M., Chebli, H., Degrande, G., Auguszinovicz, F., Hunt H.E.M. and Clouteau, D., 2006. A numerical model for ground-borne vibrations and reradiated noise in buildings from underground railways. In: ISMA International Conference on Noise and Vibration Engineering, Leuven, Belgium, 18th-20th of September. Hussein, M.F.M., Gupta, S., Hunt, H.E.M., Degrande, G. and Talbot, J.P., 2006. An efficient model for calculating vibration from a railway tunnel buried in a half-space. In: the 13th International Congress on Sound and Vibration, Vienna, Austria, 2nd-6th of July. Gupta, S., Hussein, M.F.M., KLEIN, R., Degrande, G. and Hunt, H.E.M., 2005. A comparison of prediction models for vibrations from underground railway traffic. In: the 12th international congress on Sound and Vibration, Lisbon, Portugal, 11th-14th of July. Hussein, M.F.M. and Hunt, H.E.M., 2004. A power flow method for evaluating vibration from underground railways. In: the 8th International Workshop on railway noise, Buxton, Derbyshire, UK, 8th-11th of September. Talbot, J.P., Hunt, H.E.M. and Hussein, M.F.M., 2004. A prediction tool for the optimisation of maintenance activity to reduce disturbance due to ground-borne vibration from underground railways. In: the 8th International Workshop on railway noise, Buxton, Derbyshire, UK, 8th-11th of September. Hussein, M.F.M. and Hunt, H.E.M., 2004. Dynamic effect of slab discontinutiy on underground moving trains. In: the 11th international congress on Sound and Vibration, St.Petersburg, Russia, 5th-8th of July. Hunt, H.E.M., Hussein, M.F.M. and Talbot, J.P., 2003. Insertion Loss Models for evaluating the performance of vibration counter-measures for underground railways. In: the tenth international congress on Sound and Vibration, Stockholm, Sweden, 7th-10th of July. Hussein, M.F.M. and Hunt, H.E.M., 2003. An Insertion Loss Model for evaluating the performance of floating-slab track for underground railway tunnels. In: the 10th international congress on Sound and Vibration, Stockholm, Sweden, 7th-10th of July. Hussein, M.F.M., Improving the student learning experience by using mobile and computer technology in delivering multiple choice questions, April 2017, Proceedings of the joint 8th IFEE2017 and 3rd TSDIC2017, Sharjah, United Arab Emirates. Hussein, M.F.M., Impact of entry qualifications on university performance of Civil Engineering students, Sep 2012, The 19th Learning & Teaching Conference, University of Nottingham. Hussein, M.F.M., Munro, R., Wanatowski, D., Sep 2008, Developing and assessing methods to engage students in WebCT. The 13th Learning & Teaching Conference, University of Nottingham.